Several Members of Parliament are demanding answers from Immigration Minister Sylvi Listhaug regarding her active efforts to return asylum seekers to Aghanistan. Some are calling the practice “horrible,” not least after Afghanistan’s own ambassador to Norway has asked that it be halted. Ambassador Shukria Barakzai, who arrived in Oslo in February just after last year’s refugee influx, told newspaper Aftenposten over the weekend that her country is in the midst of several crises and that this was the “worst possible” time to return those who have fled. Barakzai said that she has asked Norwegian authorities to halt their deportations. They’ve been carried out against those whose asylum applications have been rejected in Norway on both a voluntary and involuntary basis. Those agreeing to leave Norway can receive a variety of benefits including up to NOK 20,000 (USD 2,400) for each member of the family, a place to live in Kabul for up to two weeks, airline tickets from Norway to Afghanistan and transport to their home communities plus other assistance. Those forced to leave Norway receive much less financial or other assistance. They’ve also reportedly been subjected to apprehensions in the middle of the night, handcuffs and placement at a detention facility until they’re flown out of the country. A TV2 report on how several young Afghan asylum seekers were treated has sparked strong negative reactions from several top politicians. “It can be necessary to arrest people, but this (seeing young Afghans handcuffed) is absolutely horrible, as I view it,” Heidi Greni of the Center Party told news bureau NTB on Tuesday. According to TV2, the young asylum seekers were first told after they’d been seized that their asylum applications had been rejected. “That’s completely at odds with judicial practice,” Greni claimed. She said the attorneys for asylum seekers are supposed to break the news and clarify rejected refugees’ rights regarding possible appeals. “They should also get a reasonable deadline for returning voluntarily,” she said. While Immigration Minister Listhaug has boasted about the high numbers of returns and that’s also led to controversy, the practice has attracted international attention and stirred opposition both in Norway and abroad. Demonstrations were being planned in several Norwegian cities on Wednesday by those worried about the tough treatment of Afghan refugees, especially entire families. Stein Eirk Lauvås of the Labour Party also wants to know whether Listhaug can ensure that asylum seekers are being treated in accordance with regulations, and whether they have access to guaranteed legal processes. 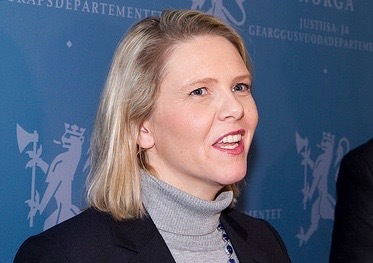 TV2 reported that law professor Mads Andenæs and the Norwegian Bar Association have also raised objections to how police are handling deportations under the auspices of the Justice Ministry the Listhaug leads along with Justice Minister Anders Anundsen,. They think many are illegal. Of most concern is the situation in Afghanistan, and whether the deeply troubled country can take in returned refugees. Ambassador Barakzai has suggested it can’t, pointing to how the country is in its “worst crisis” since Norwegians and international troops pulled out of Afghanistan. She said Afghanistan is now overrun with refugees itself from both Pakistan and Iran and that Afghan authorities aren’t managing to meet the refugees’ most basic needs, or of those who are returned. She said Afghanistan has neither sufficient housing, schools of jobs. The Norwegian government, anxious to reduce the numbers of asylum seekers in Norway, has sent more than 740 Afghans out of the country so far this year. Forty young Afghans were deported just last week. Barakzai claims they will face a tough Afghan winter, a lack of shelter and increased terrorism. She said she has asked Norwegian authorities to consider “the signals we are sending” and postpone or keep the number of returns as low as possible. The MPs were not reassured. Bård Vegar Solhjell of the Socialist Left party (VG) also wants to ask whether Foreign Minister Børge Brende considers Barakzai’s evaluation of her country incorrect. Solhjell’s party colleague Karin Andersen noted that Swedish authorities have determined that Afghanistan’s security situation has worsened in the past two years. Most of them originally came from Syria and now Russia is refusing to take them back. The police unit (Politiets utlendingsenhet, PU) handling deportations had already asked the government to change how it handled asylum seekers through Storskog. Around 5,500 asylum seekers arrived in Norway via Russia last year as part of the refugee influx that topped 31,000. After deportations and resettlement within Norway, immigration agency UDI reported that 14,877 remained in asylum centers in Norway as of last week, around the same number as before the influx began.